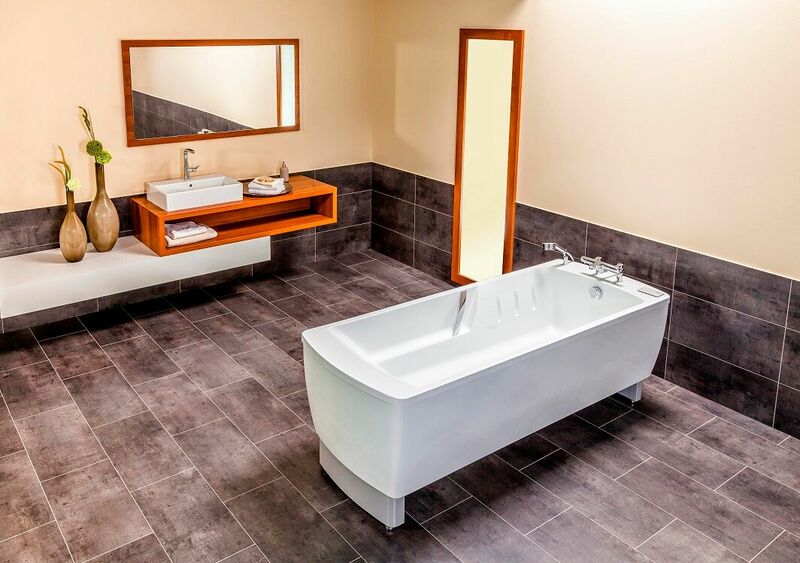 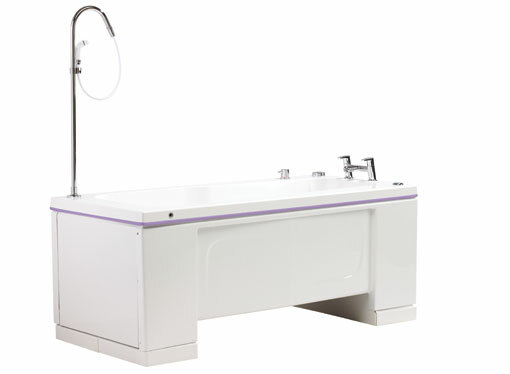 Ideal for care homes, hospitals, residential and nursing homes, the range of assisted baths offer state of the art features to ensure bathing is easy and safe for all. 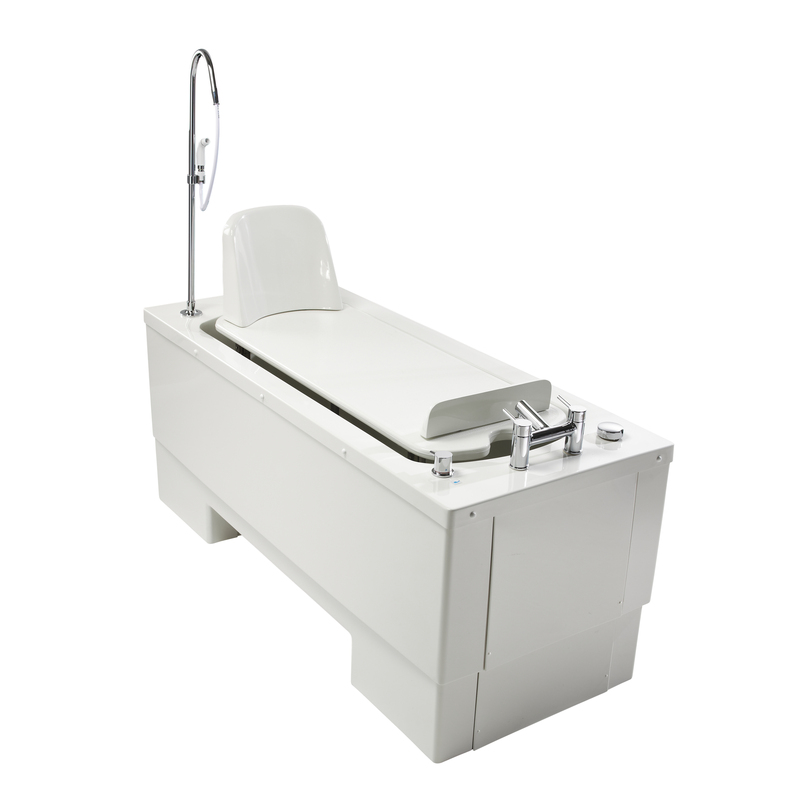 Power baths with Hi-Lo lift functions reduce the possibility of slipping and lifting by carers. 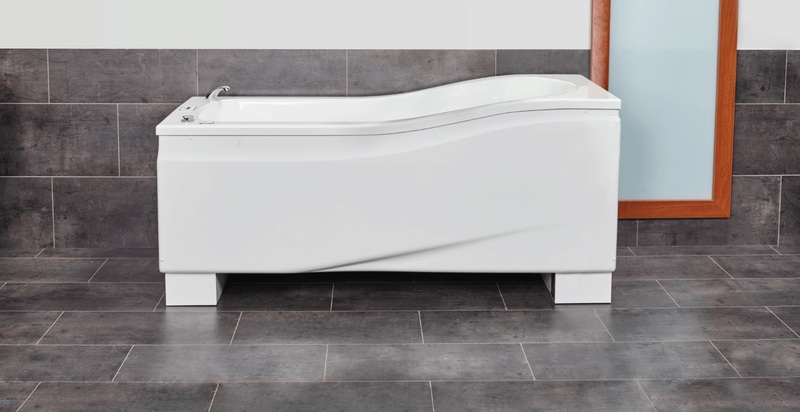 The unique ‘Slipper’ shaped bath tub cocoons the bather and offers one of the most spacious internal dimensions in a bath of its kind. 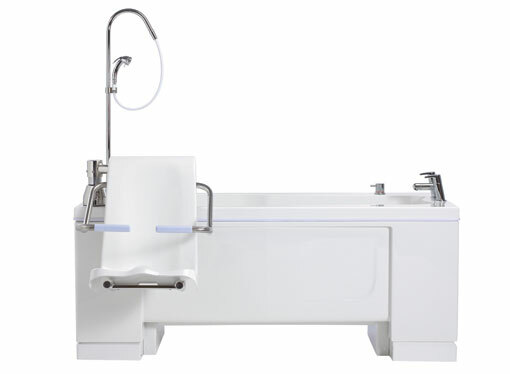 Chosen by major care home groups, the Compact 1600 and 1700 DC bath is specifically designed for dementia care. 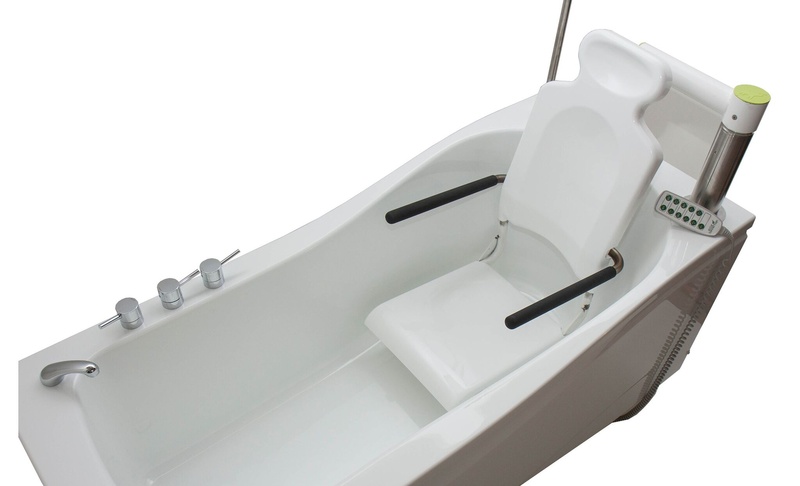 The Compact Plus Solo bath has been designed to safely accommodate even the most highly dependent bather where hoist transfers are the optimum way to ensure smooth and effective transfer. 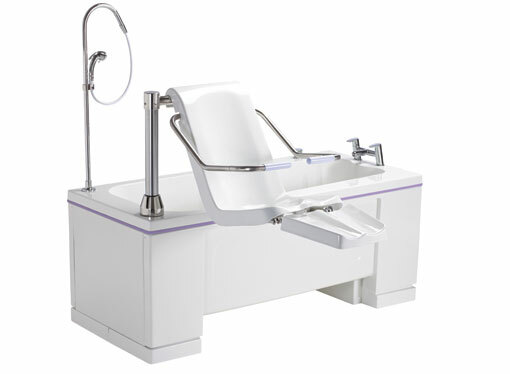 Ezion is a height-adjustable bathing system provided by Absolute Mobility. 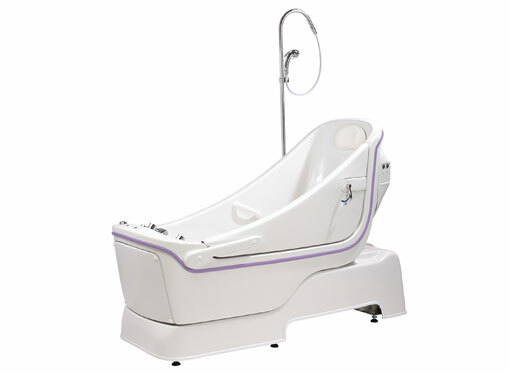 With an integrated seat and a patented leg-lift, this power bath provides the highest level of care assistance. 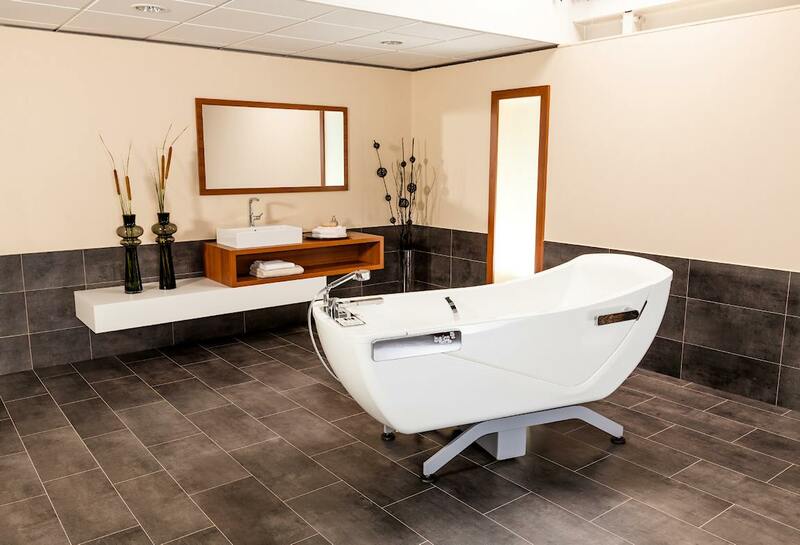 Designed for intensive use in care homes and hospital, the Gentona. 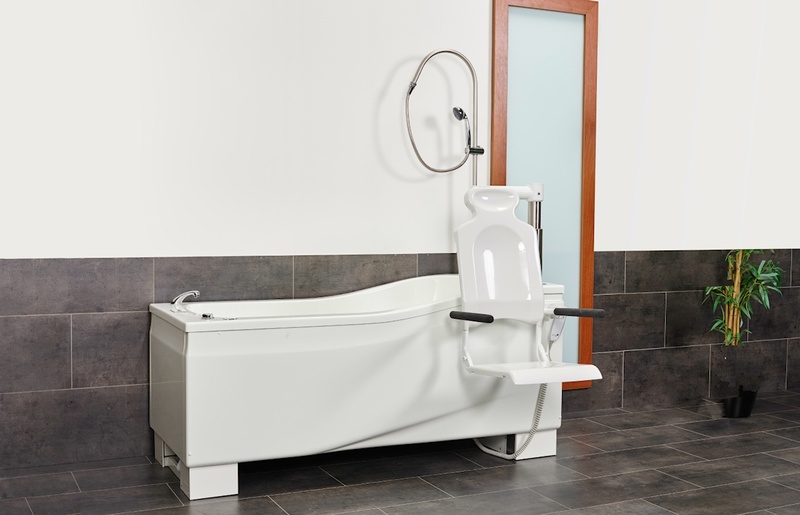 Full and easy access to ambulatory people, as well as wheelchair and hoist users.